A Somerset holiday park was evacuated following a roof collapse. 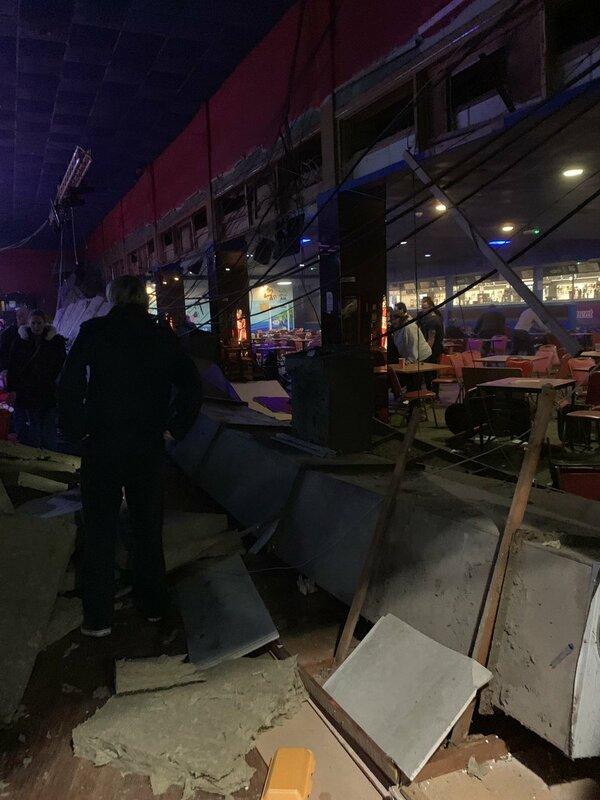 Emergency services - including police, fire and ambulance crews - attended Pontins Brean Sands on Wednesday (February 20) evening following an incident in the main entertainment building. According to reports, a roof collapsed and guests had to be evacuated. The ceiling has come down. There was equipment attached to it, it looked like heavy rigging and it's come down over families sitting at tables in the bar area. The Avon and Somerset Police Twitter account for Weston-super-Mare, in a short statement, said a "number of people" were injured - but none seriously. "Shortly before 6.30pm this evening, we were called to Brean Sands Holiday Park following reports a ceiling had collapsed inside a building," the force account said. "A number of people suffered minor injuries in the incident but thankfully no one was seriously hurt." The force added the Health and Safety Executive had been informed about the incident.